Italian Interior Minister Mr. Matteo Salvini said during the election campaign that his main focus would be on stopping the wave of illegal migration entering the country from Africa and he was duly elected. Stopping the NGO vessels with hundreds of illegals, disallowing them from disembarking in any Italian port or even telling the other European countries to take them has by now made him the most popular politician in Italy. Related coverage: <a href="https://thegoldwater.com/news/36045-Salvini-on-German-Protests-Merkel-Underestimated-The-Risk-Of-Social-Conflicts"> Salvini on German Protests: “Merkel Underestimated The Risk Of Social Conflicts”</a>. His conviction to keep Italy migrant free as from now did not end there though. When the Italian Interior Ministry was informed that Tunisian fishermen were ‘rescuing’ small migrant vessels in the Mediterranean and then towed them to Italian ports, he sent them a warning at first, stating that Tunisia is far closer to where they picked them up than Italy and warning that they would be arrested next time. Six Tunisian fishermen involved in the ‘sea rescue’ operations continued their trade and Mr. Salvini acted on his threat. Related coverage: <a href="https://thegoldwater.com/news/35451-Salvini-Italy-And-Orban-Hungary-Form-European-Anti-Migrant-Alliance-Video#35469"> Salvini (Italy) And Orban (Hungary) Form European Anti-Migrant Alliance (Video)</a>. The men were arrested at sea at their fishing trawler was filmed releasing a small vessel it had been towing with 14 migrants onboard, some 24 miles only from the coast of the Italian island of Lampedusa. 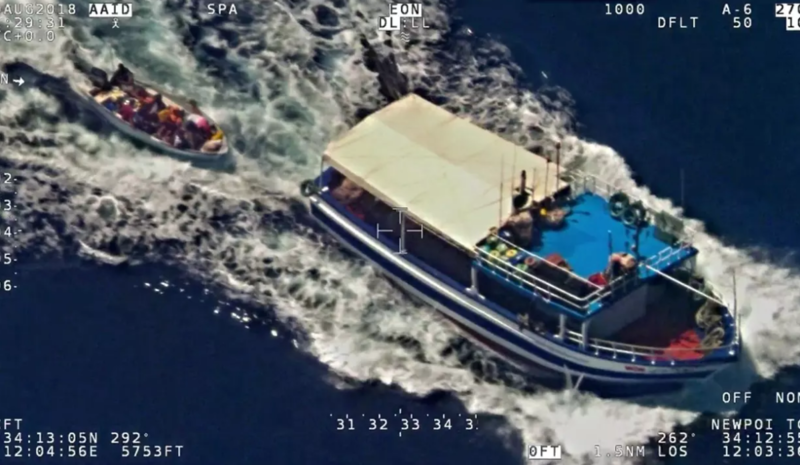 Italian authorities claimed that they were allowed the arrest as an aeroplane from the European border agency Frontex, whose powers have recently been expanded at the demand of Austrian Prime Minister Sebastian Kurz who currently heads the rotating 6-month European Presidency, saw that trawler some 80 nautical miles from Lampedusa and decided to monitor the situation. They told Italian police how the two vessels met up in the Mediterranean and then the fishing boat towed the migrant vessel closer to Italy. After the arrests of the fishermen, hundreds of Tunisians gathered to protest at the Italian embassy in Tunis and demand the men’s release.